The Joe Rogan podcast has manifested some of the greatest conversations from our era. As many say, Joe Rogan is Oprah for men and it’s hard to argue. 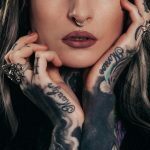 Joe Rogan has interviewed some of the most interesting people from all walks of life, including everyone from Dan Bilzerian to Elon Musk, two individuals who couldn’t be further apart. There’s been well over 1,000 Joe Rogan podcasts and climbing. In this post we want to take a look at the 25 best Joe Rogan podcasts in no particular order. All videos have been embeded so you can watch them straight from this page. The Dan Bilzerian podcast is one of my personal favourites. Dan’s podcast was able to capture humour whilst telling some of the best stories we’ve ever heard on the Joe Rogan podcast. Hearing Dan Bilzerian talk about women, drugs, Vegas, gambling and the military was not only eye opening but somewhat educational for the modern man. Brendan and Joe have carried out many podcasts to date, but this may be the best of all. When Brendan Schaub and Joe Rogan get together it’s guarenteed humour. In this podcast they were breaking down the upcoming Mayweather vs McGregor fight but deviated to speak about many other topics. The most notable was Johnny Depp and how his spending has got out of control. One of the most interesting podcasts ever on the Joe Rogan show. Tim Kennedy spoke about his documentary on the Nazi’s who according to Tim fled Germany at the end of WW2 and settled in Argentina. To add to this, Tim strongly believes that Hitler was among the party that escaped! Episode 911 – says it all really. Alex Jones is the world’s biggest conspiracy theorist, Eddie bravo perhaps the 2nd. Add alcohol and we have one hell of a crazy podcast. Alex Jones has been on the Joe Rogan podcast since, however this one tops the bill as it’s episode 911 which makes it all too perfect to match. Jamie Foxx is an extremely interesting man. On this episode of the Joe Rogan podcast Jamie displays his multidiverse personality and talks about various topics including his many celebrity friends and the stories that accompany them. Elon Musk recently featured on the Joe Rogan podcast which sprung up many talking points. Elon is a very eccentric guy, somewhat strange in fact, combined with alcohol and Joe Rogan’s clever way of asking questions Elon opened up about many interested talking points. Topics discussed included AI intelligence, Tesla and of course chimps. Ben is a fast talking highly intelligent and very controversial individual who you either love or hate. Whatever you think of Ben, his views on race, religion, gender and more will evoke strong emotions and keep you gripped for the entire podcast. There’s no other way to say it, Tom Delonge is a lunatic. This podcast may not factually educate you like some of the others do, but Tom’s deluded conspiracies will certainly entertain you. Also look out for his favourite term “I can’t say”. Tom seems to dodge every single investigative question with that phrase which is a little fishy. Neil Degrasse Tyson is everyone’s favourite scientist. In this podcast Neil breaksdown science 101. In short everything you thought you knew about science will be tested by someone it seems has all the logical answers. Iron Mike Tyson made his way to Joe Rogan’s studios in early 2019. Mike spoke about all the craziness that went on during his early/fight year. He also speaks about the man he is today how he’s changed and his weed business. Bill Burr is one of the funniest guys alive. His outspoken and carefree attitude is the perfect mix for the Joe Rogan podcast. Bill and Joe go way back so the chemistry works well, simply sit back and enjoy a few laughs for the next few hours. Jocko Willink is an ex Navy Seal. He epitomises what it means to be driven, focused and resilient. He runs through some of his techniques, beliefs and stories in this extremely motivating podcast making it one of the best Joe Rogan podcasts of all time. Joe and Henry Rollins speak about Henry’s time and experiences in North Korea. One discussion involves Henry having to flee North Korea fearing for his life and safety. Certainly an entertaining listen. Jordan Peterson is the go-to guru for modern men. Many believe Jordan is the Father figure they never had. His views on masculinity, attraction, alpha males and more are interesting topics for any man. GSP is one of the greatest MMA fighters of all time and many believe he is the best espeicially in Canada where GSP is from. As Joe Rogan is the UFC commentator, him and GSP cover all topics related to MMA. For any MMA fans this is your dream podcast. Theo Von like Joe is a successful comedian and one of the funniest in the world. Theo has a way of thinking like no other comic out there right now which translates to perhaps the funniest podcast of all time. Look out for the vietnemese starter move! Guy Richie is a successful British film director and also a keen MMA fan. As you can see by Guy’s attire he likes to dress well, a topic he drops some valuable knowledge about in the podcast that will help any man in life. In one of the earlier but new format Joe Rogan podcasts popular British scientist Brian Cox breaks down the in’s and out’s of the universe. A very educational podcast but if that’s your thing, then extremely entertaining. Joe Rogan and three of his closest friends do something called sober October where they go drink and drug free for a month with as many gym sessions as possible. Hearing them speak about their experiences whilst getting high and drunk is hilarious and makes you feel like part of the celebrations. Lawrence Krauss is an extremely intelligent man, perhaps too intelligent when he “Blows Joe Rogan’s mind” with some of his new age science. If you can keep up with Lawrence Krauss, then this is a Joe Rogan podcast that you have to watch. Louis Theroux is a very successful documentary maker. The documentary current at the time was his exploration of Scientology which Louis and Joe went in-depth on in this podcast. In this Joe Rogan podcast Lance Armstrong reveals all regarding his doping scandal that rocked the world of cycling and sports as a whole. For any cycling fans or people who have heard Lance’s story this one will grip you throughout. At the time Gary Vaynerchuk was the most popular name in the entrepreneur community. His YouTube videos and passionate rants attracted a huge audience and still does today. In this Joe Rogan podcast Gary Vaynerchuk is true to form and delivers the energy that has made him so successful to date. Arian Foster is an ex-football player, that still doesn’t means he could beat a wolf in a fight! Wait why would I say that? Watch the podcast you’ll find out. Ron Miscavige is the unfortunate Father of David Miscavige the leader of Scientology. This nutcase made his own Dad’s life hell and hasn’t spoken to him in years since Ron left Scientology. Hearing his story is mind blowing and you can’t help but feel sorry for the guy. Body language is essential to any man’s life. It can help you attract women, achieve success and get treated with respect. Learn how Conor McGregor did it with our body language course. 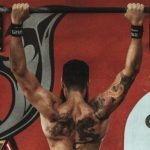 What is the better bodyweight exercise, the chin up or the pull up? Elon is a very eccentic guy, somewhat strange in fact, combined with alcohol and Joe Rogan’s clever way of asking questions Elon opened up about many interested talking points.